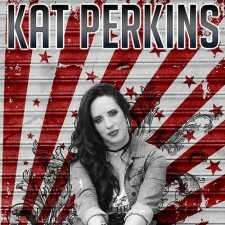 The Spicer and New London Lions proudly present Kat Perkins in Concert! Parking available in the High School and Middle School Parking lot for easy access to the Theater. Handicap Accessible Parking please use the High School (lower level) parking lot. Tickets may be purchased online with a credit/debit card. Cash or Check purchases maybe made at the New London Spicer Community Education Office Monday through Friday 7:30am-4pm or at the door 1 hour prior to the show. Come and show your support for the New London and Spicer Lions Clubs! Our Lions Clubs have teamed up to invite Special Guest, Kat Perkins to the New London – Spicer Performing Arts Center. We’re so excited to host Kat in our community. Kat Perkins is a singer and songwriter who performed on The Voice in 2014. We look forward to filling the facility with her amazing voice and acoustics! Come check out Kat Perkins, visit the new Performing Arts Center and support your local lions!